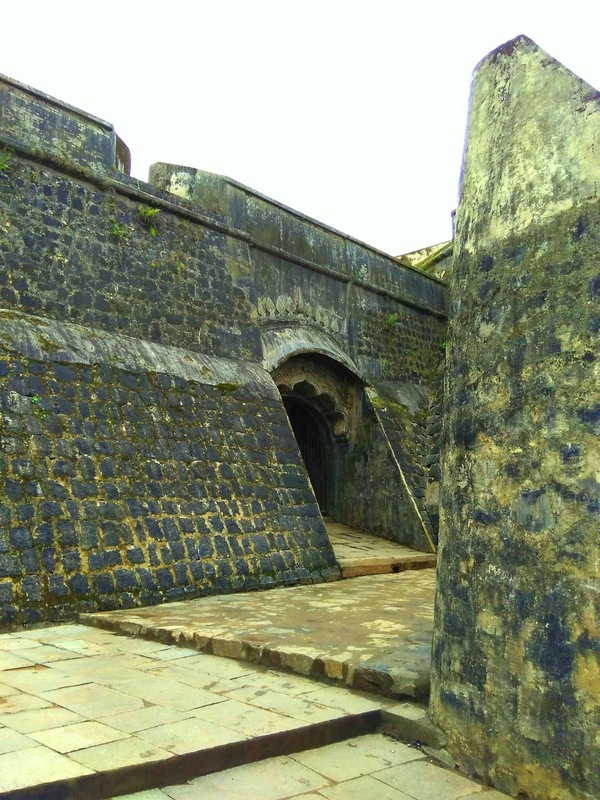 Manjrabad fort is located near Sakaleshpura on Bengaluru-Mangaluru highway. In my life I have traveled hundreds of times on this route- mostly in night bus and thus had missed this fort all the time. In June this year, during a road trip towards Subramanya, we managed to stop by at this port during the return journey. Thanks to Dhiru Guri of Team G Square Cube for alerting me on the possibility of visiting Manjrabad fort. 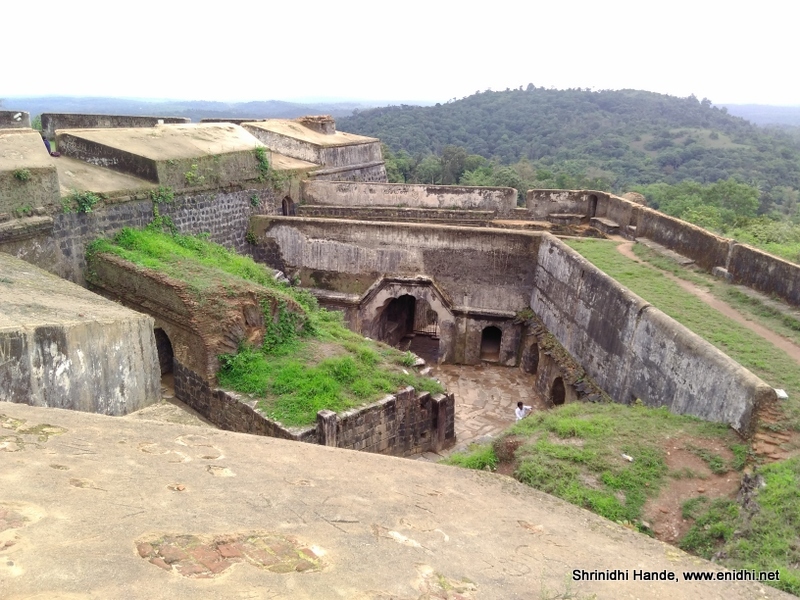 Manjarabad is an 18th century fort while looks like a star from the top- not a large campus, just good enough to house a few barracks for soldiers and ammunition storage. Gives good view of surrounding areas and probably served as early warning system for any unwanted enemy movements. 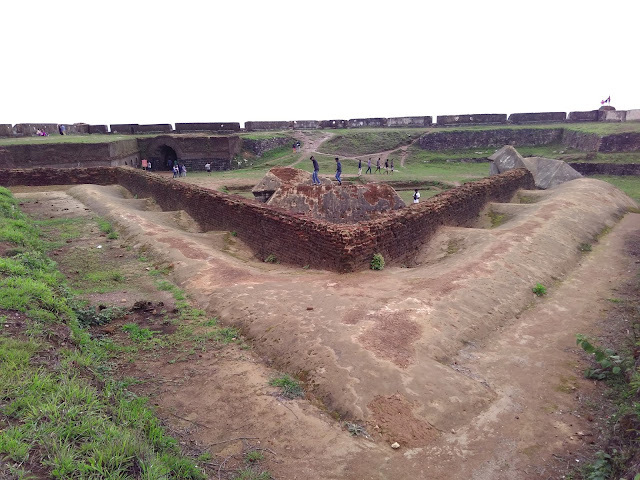 Entrance is well fortified with sharp turns, to deter being attacked by charged elephants. 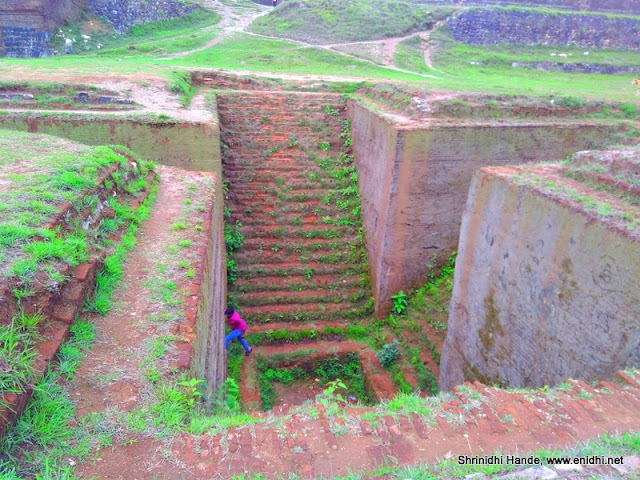 A step well exists in the centre of the fort. Many storage areas are also found. However no big structures exist- doesn't look like anyone of importance stayed here. Manjarabad was build by Tipu Sultan with help of French Engineers, so as to secure his kingdom from Hyderabad Nizams and Maratha rulers who were aligned to British.Wikipedia has full history if you are interested. Locating the fort on the highway is tricky, as the Manjarabad fort is not visible in plain view while driving on the highway. Below board exists by the roadside, but you are likely to miss it unless you keep a sharp look out. Easiest way would be to remember the below turn, or rely on Google maps. 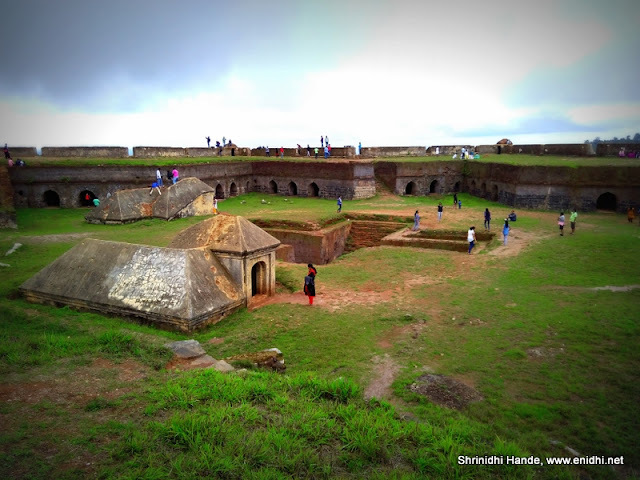 There is no entry fee and there aren't much facilities around the fort either. Few shops sell food n water by the highway. 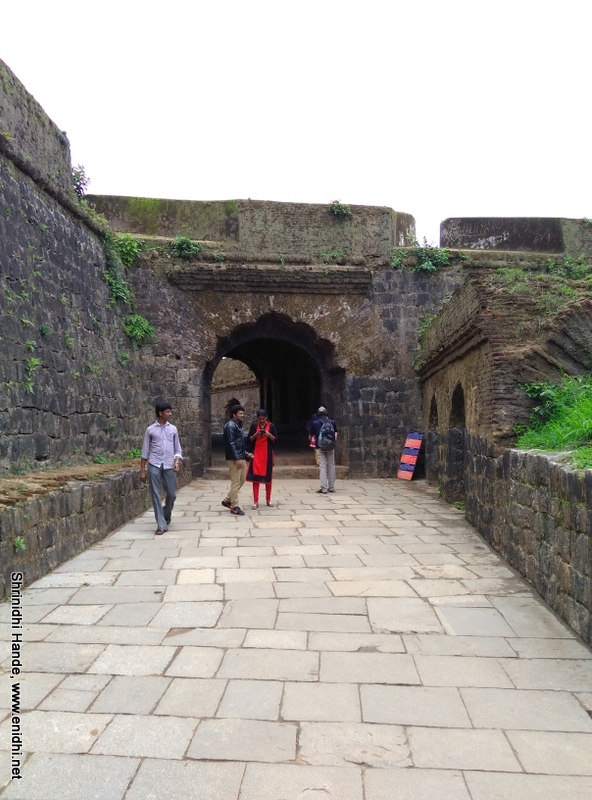 One needs to walk a few hundred steps to reach the fort entrance. Amazing Manjrabad fort, Beautiful pics. Seems like it is well maintained. Had been here 8 years ago. @Niranjan- Yes, reasonably well maintained.. Thanks for this alert. Was planning Saklespur, will work around to include this.